Appreciation in the Indian rupee also kept the index under pressure. The Indian rupee breached its crucial level of 71/$ and depreciated 21 paise to trade at 70.97/$. The domestic currency opened 3 paise lower at 71.21/$ compared to its previous close of 71.18/$. The appreciation was on the back of easing crude oil price in global markets and a marginal weakness in the dollar against its major peers. Shares of Infosys, HCL Tech, TCS, and MindTree, which declined 2% each, were leading the index’s fall. Shares of Tech Mahindra, Tata Elxsi, and Wipro also dropped 1% each. 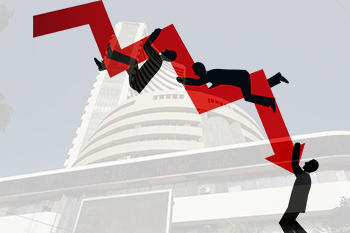 Meanwhile, equity benchmark indices were trading on a flat note with the Sensex declining 15 points at 36,374 points. Nifty fell 3 points to trade at 10,885 levels.